Tbilisi, formerly known as Tiflis, was founded in the 450's. It is the largest city in Georgia as well as the capital. This beautiful city conceals itself between two Caucasian nooks on the banks of the Mtkvari River south of Russia and north of Turkey. It is laden with huge trees poking up everywhere and surprisingly very humid. Due to lack of funding, Tbilisi Fashion Week'13 was cancelled. Problems from lack of corporate sponsorship, lack of support from the Ministry of Culture and Tbilisi City Hall were amongst many of the challenges that saw to the cancellation of the popular Georgian Fashion event last year. The cancellation of the ninth season of Tbilisi Fashion Week had a negative effect not only on the designers, but notably on tourism and the global popularization of Tbilisi and Georgia as a whole. Since October 2009 Tbilisi Fashion Week has been held twice a year, Spring and Fall. 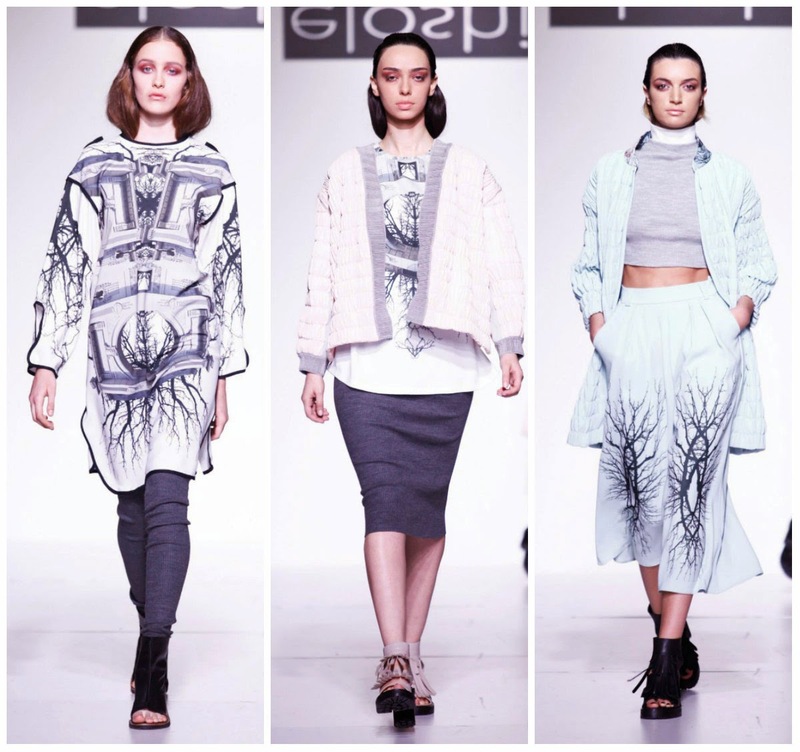 Georgian designers working both in Georgia and abroad participate in Tbilisi Fashion Week. 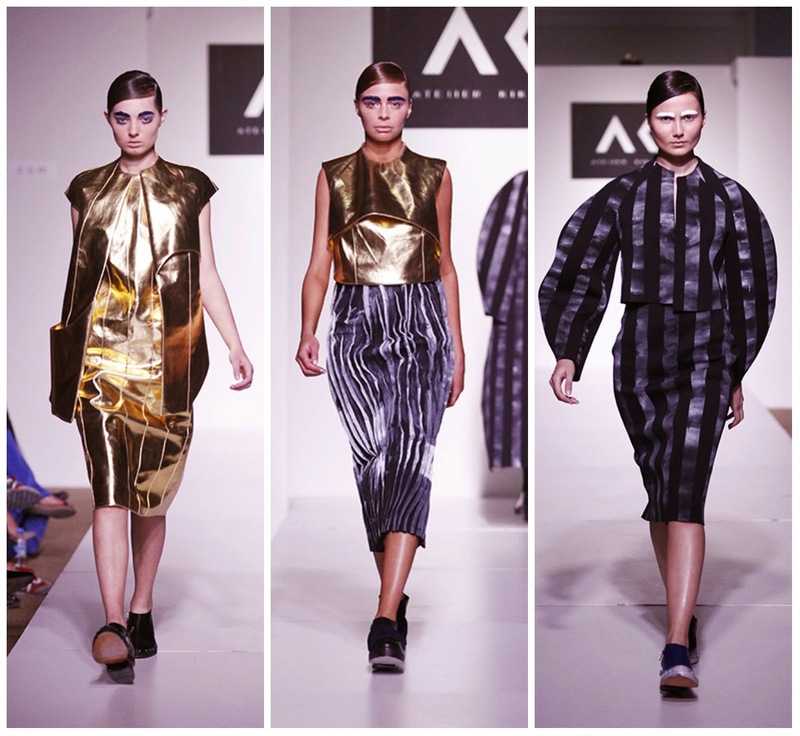 After a one year break, Tbilisi Fashion Week is back with more attraction and glamour. The Autumn-Winter 14/15 collections showcased Georgian style and assurance by its annual sartorial parade certainly did not disappoint. 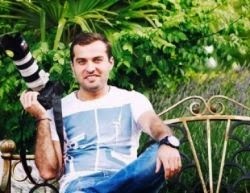 Hosted at Rose Garden, the highly anticipated Tbilisi Fashion Week started off with an exhibition of photographs by Irakli Ghughunashvili, a prominent Georgian photographer who died tragically in a fatal car accident last year. You can explore more of Irakli Ghughunashvili's amazing work here. 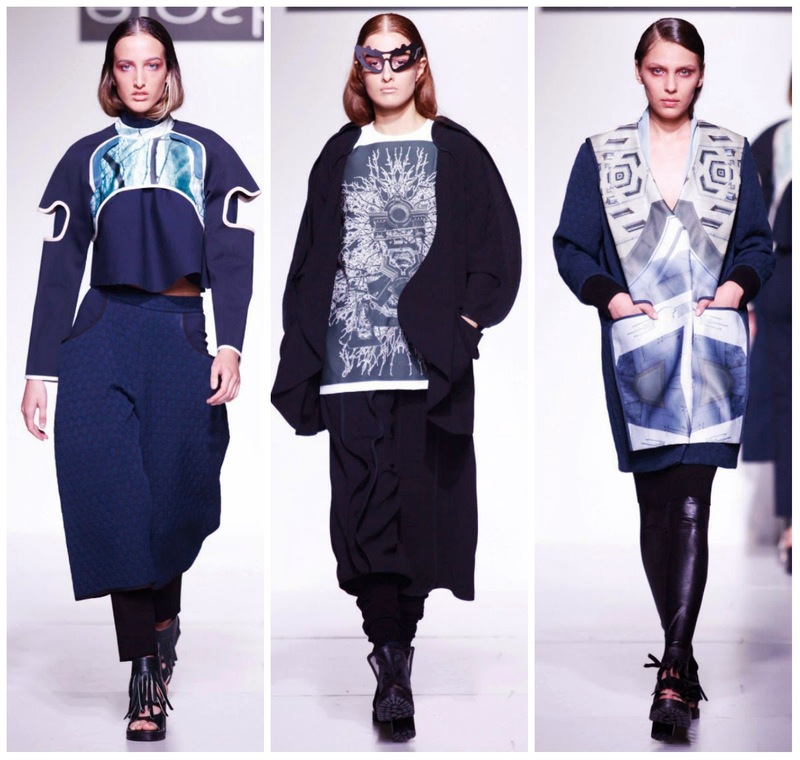 Tbilisi Fashion Week kicked off with the capital's most discerning fashion names - Lado Bokuchava as art director of Atelier Kikala and Gola Damian / Dalood Group. The highly anticipated fashion event was attended by Georgian fashion industry’s elite and wives of politicians who shared the front row benches. The opening ceremony was cordially attended by Georgia’s First Lady, Maka Chichua. Milan Style Academy’s director, Gianni Fontana, who was in Georgia, attended Tbilisi Fashion Week for the second time. Fontana envisioned Georgia’s elite fashion event as "not too far” from Milan and London fashion weeks. The main goal of Tbilisi Fashion Week was to promote Tbilisi as a cultural and business center in the region in order to support the development of Georgia's fashion industry. This was used as a platform to promote new designers and to aid in international branding and exposure of Georgian fashion to international markets. 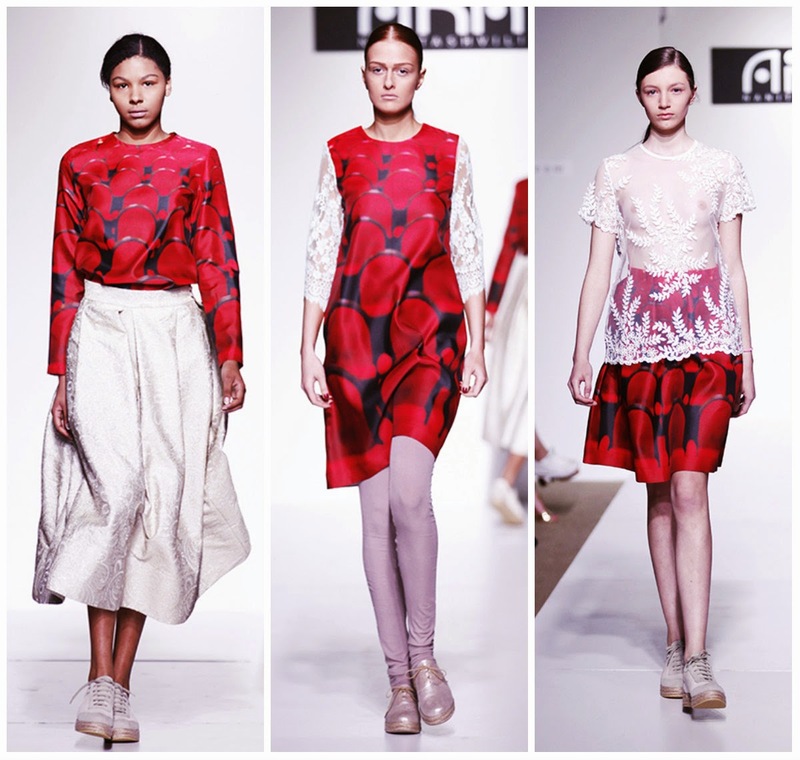 Based on this approach, the international experience of Tbilisi Fashion Week was at the heart of the concept and format of its showcasing this year. This concept unites culture, education and communication components as well. 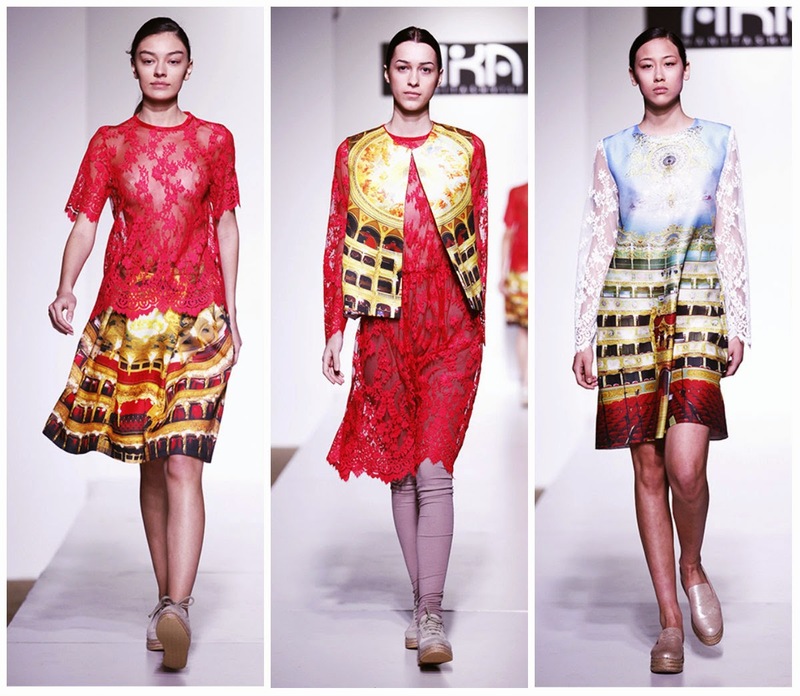 Kikala Studio, a photo studio, used clothes of their own design for their projects and upon receiving positive feedback, decided to establish Atelier Kikala. They commenced operation on September 1st, 2012. It is headed in design and management by Kikala Studio's Art Director Lado Bukochava. 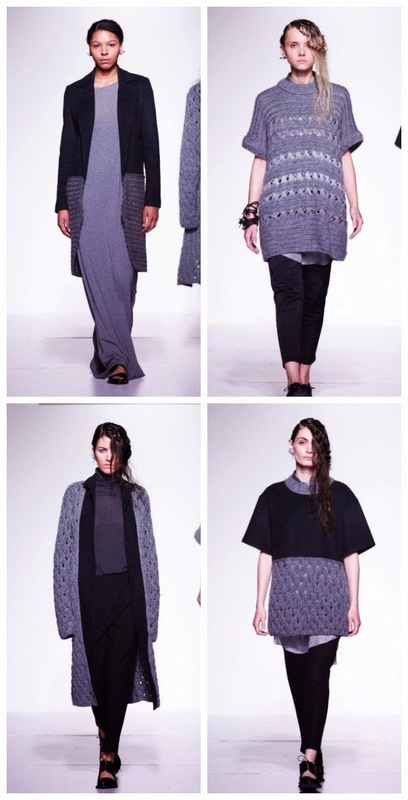 Their AW 14/15 collection compromises of bold silhouettes that challenge convention and, while the colour palette is fairly neutral save for the pieces that have gold and pale pink elements, the textures used are give the pieces an air of modernity and innovation. To know more about their work, check out their facebook page and website. 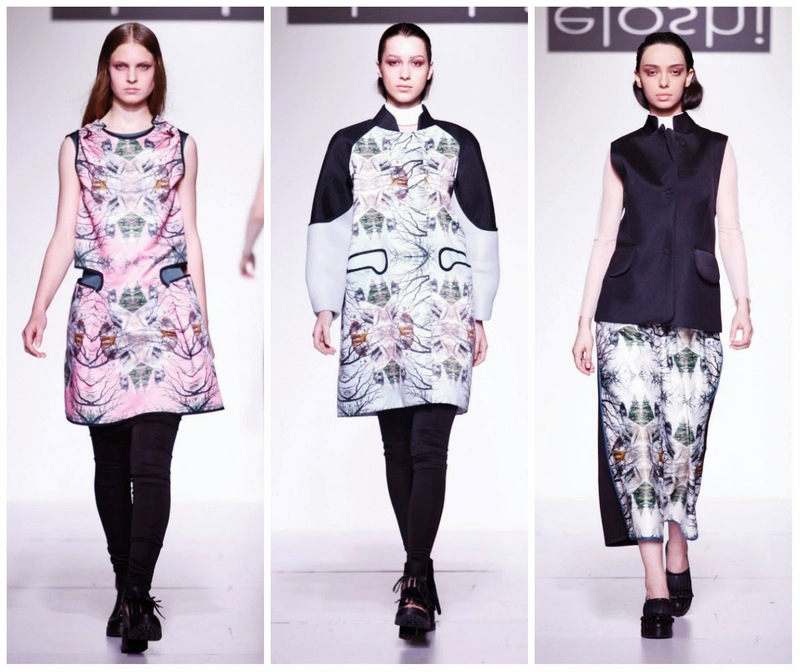 Gola is a young Georgian designer who partnered with the Dalood Group for this show. 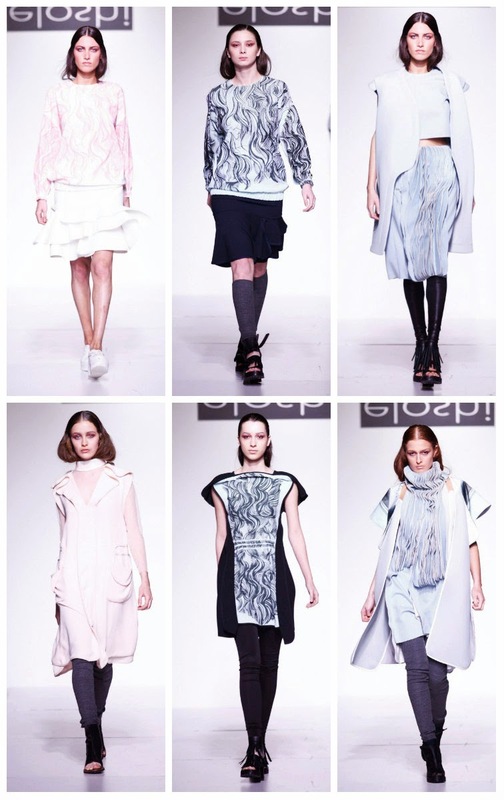 It is clear that the inspiration for this AW 14/15 collection was the cosmos.This is seen in the print used for a few pieces wherein there are space ships and aliens used in a minimal way, and also some of the designs we cannot help but draw back to the costumes in Star Trek and Star Wars. Plain fabrics had details scattered on them were reminiscent of our stellar galaxy. Some pieces used a more textured approach with fabrics to further showcase this concept. Visit Gola Damian's instagram and facebook page to see more of her work. 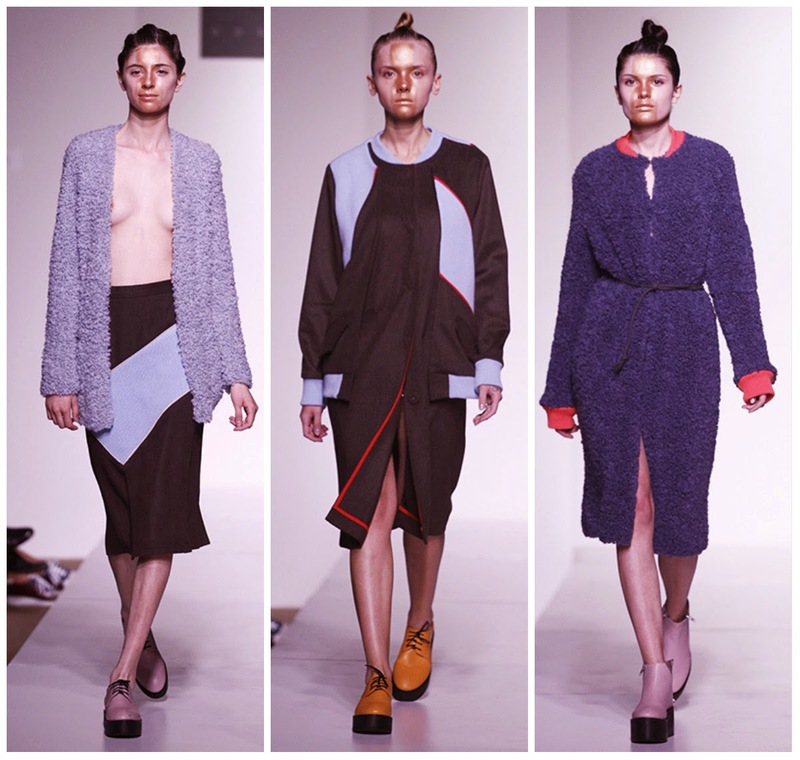 Gvasalia's AW 14/15 collection certainly had a sporty vibe to it. Instead of overwhelming pieces with large jock style numbers that we often see, she opted instead for a smaller style that was used sparingly. There were crop tops, bomber jackets and vests brought back the collection to its athletic inspiration. Aside from this, the designer didn't limit herself to a set colour palette and fabrics but explored different options that presented her talent and potential. Visit Mariam Gvasalia's facebook page and instagram to see more of her work. 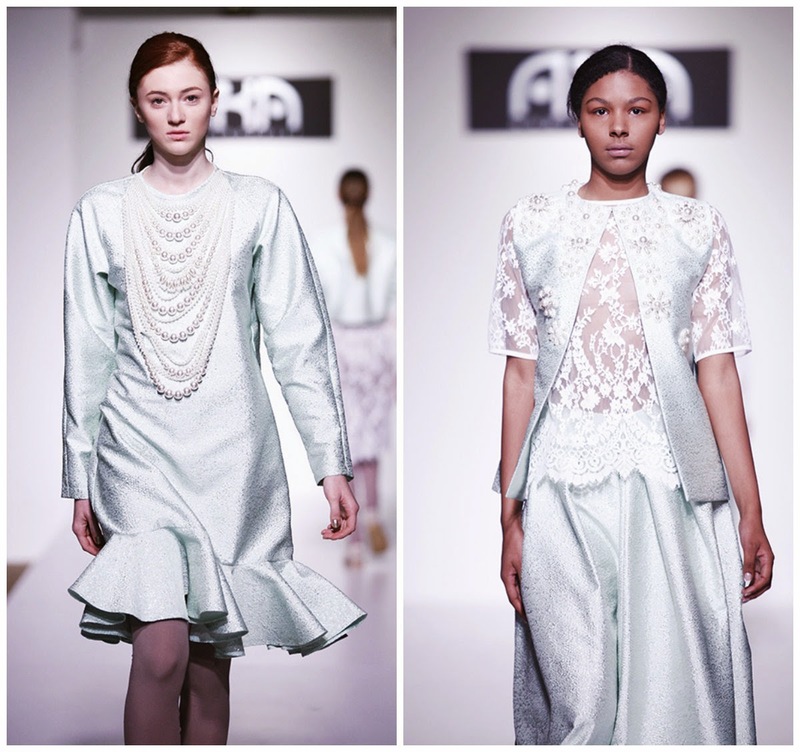 Aka Nanitashvili's AW 14/15 collection was very light and had feminine details in the way of lace and pearls. 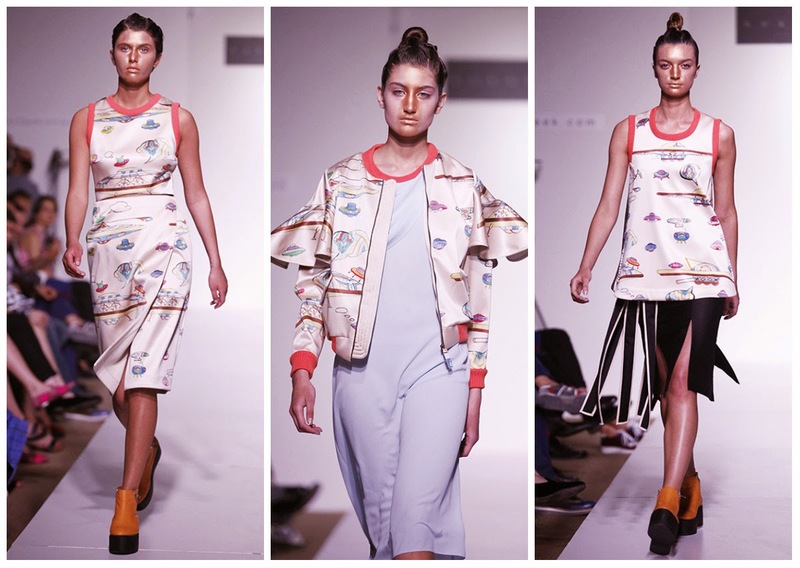 Pastel colours were seen throughout the collection and bold opera house prints contrasted some of the pieces. 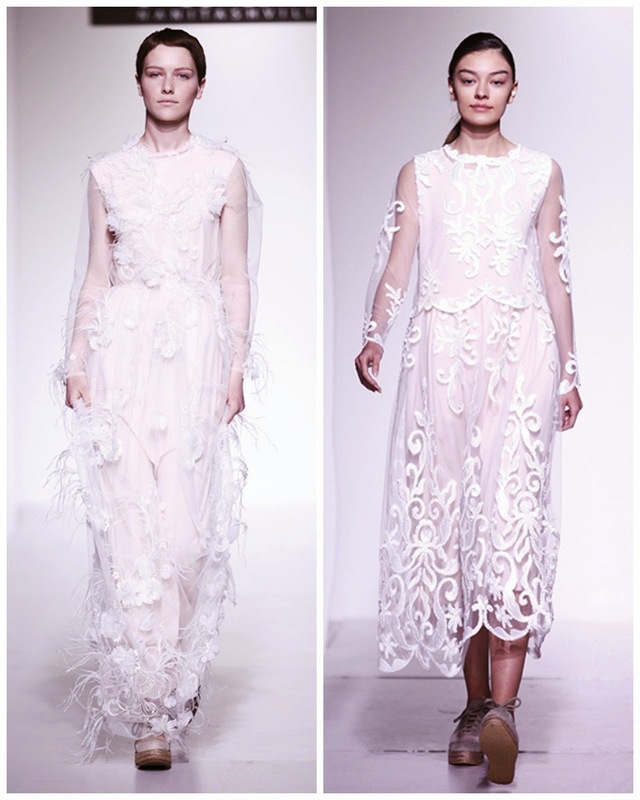 The embroidery of the pieces certainly added an ethereal look to them. The way the collection was put together was both exquisite and delicate. Visit their facebook page to see more of their work. 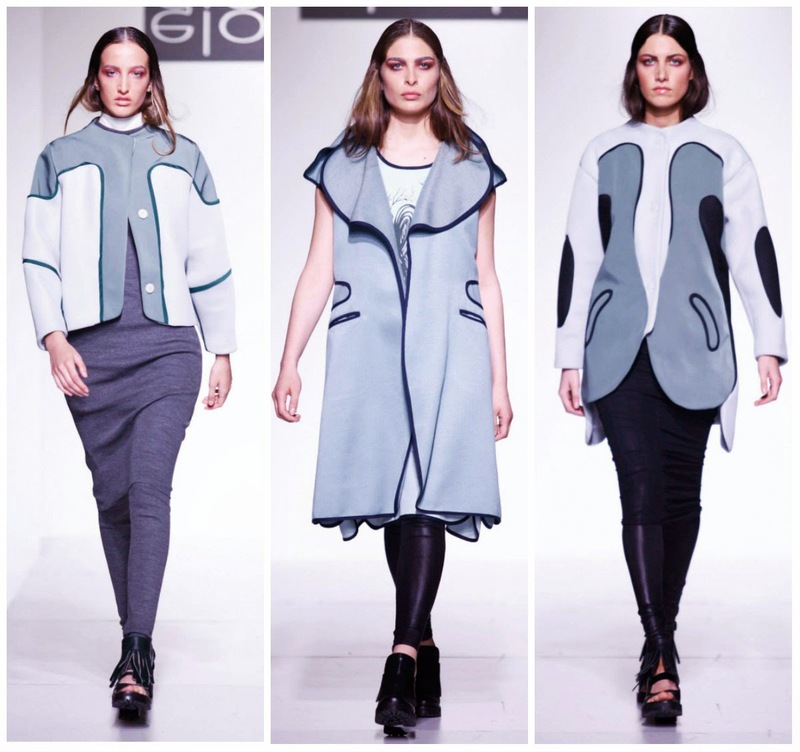 Keti Chkhikvadze is a graduate of Tbilisi State Academy of Art with a signature preference for fur inserts. Keti goes down in the details: the size of the roses on the pockets, how bulk the embroidery should be and the amount of beads that should be exhibited on the shoulders. 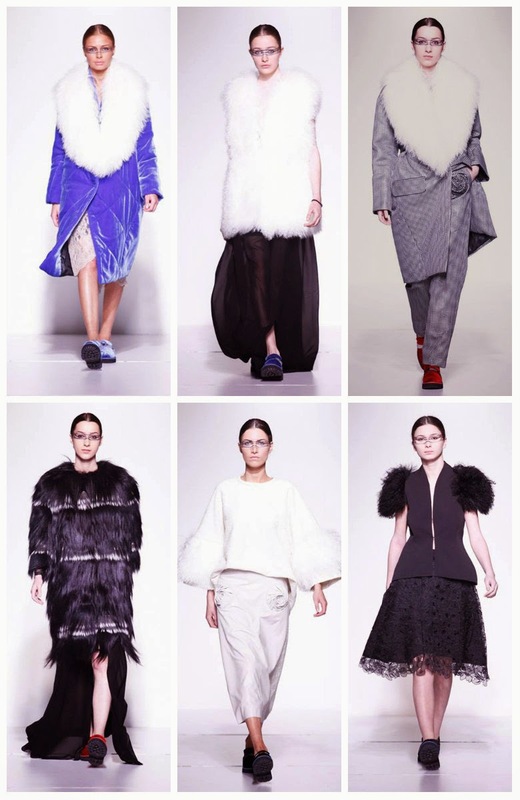 Her AW 14/15 collection is a collection with a rich assortment of key wardrobe items with a twist like her signature fur inserted coats and detailed black dresses. To see more of their work, check out their facebook page. 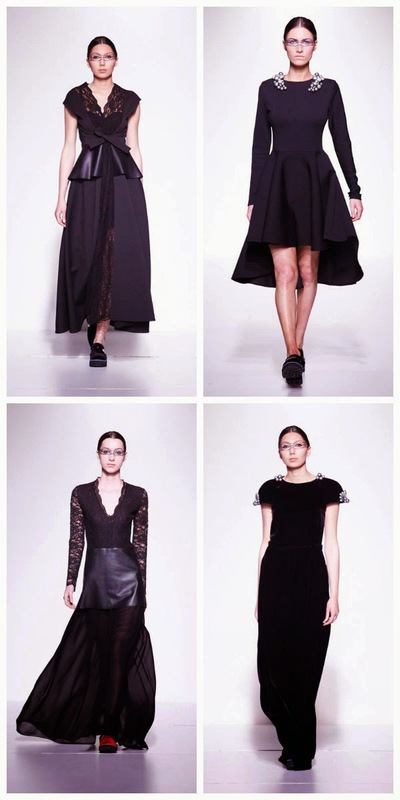 The fashion house presented Eloshi designer Lela Eloshvili, a graduate of Central Saint Martins College of Art and Design. 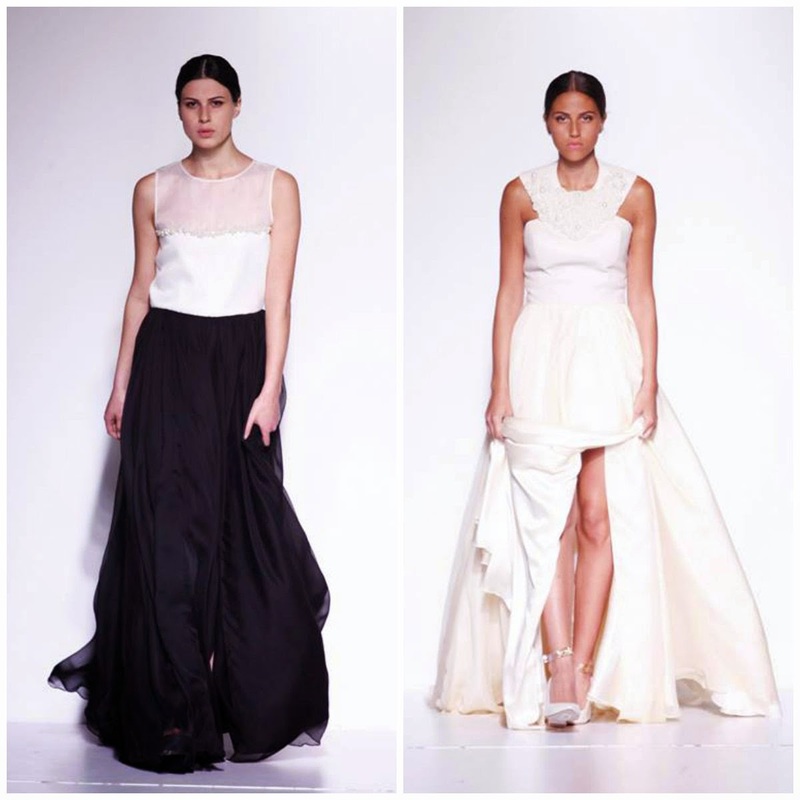 Lela's work can be described in three words: elegant, strong, and modern. 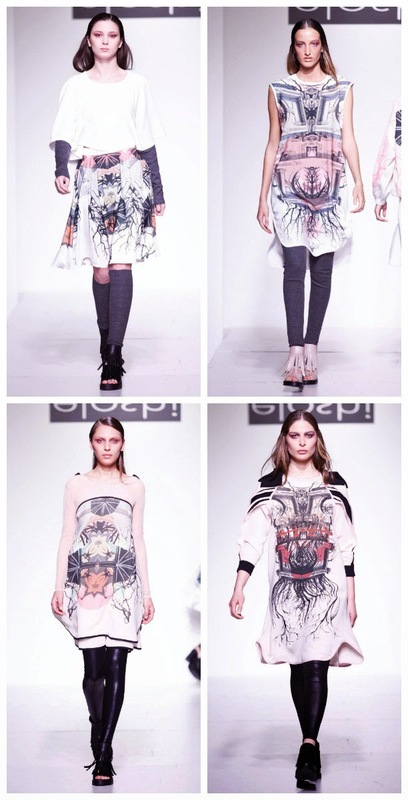 Pieces in her AW 14/15 collection were full of graphic tricks for instance the pronounced symmetrical prints that was the main attraction for most of the pieces. Femininity is shown through the delicate flow of some pieces but thicker fabrics were also used to create more structured and stronger silhouettes. 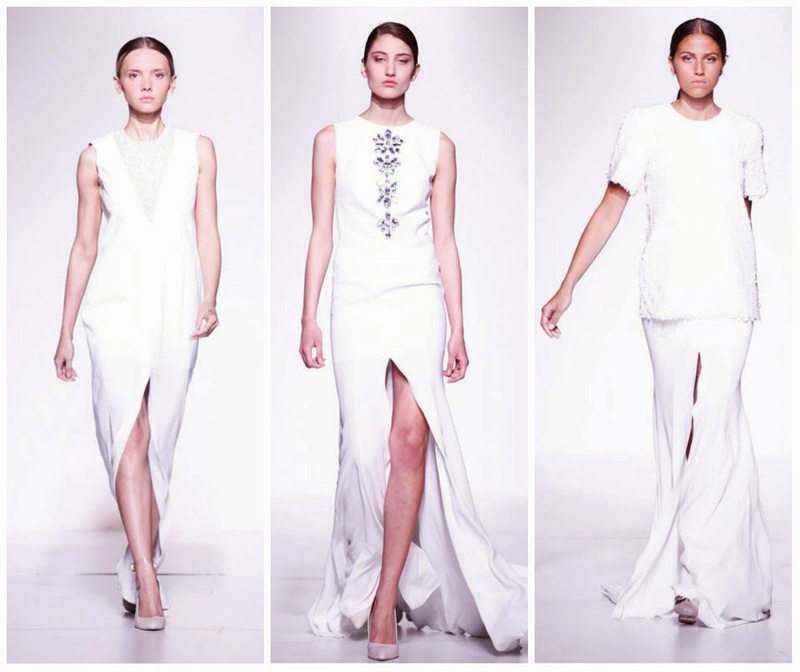 The collection compromised of different components in fabric, design, and style that demonstrated Lela's talent. 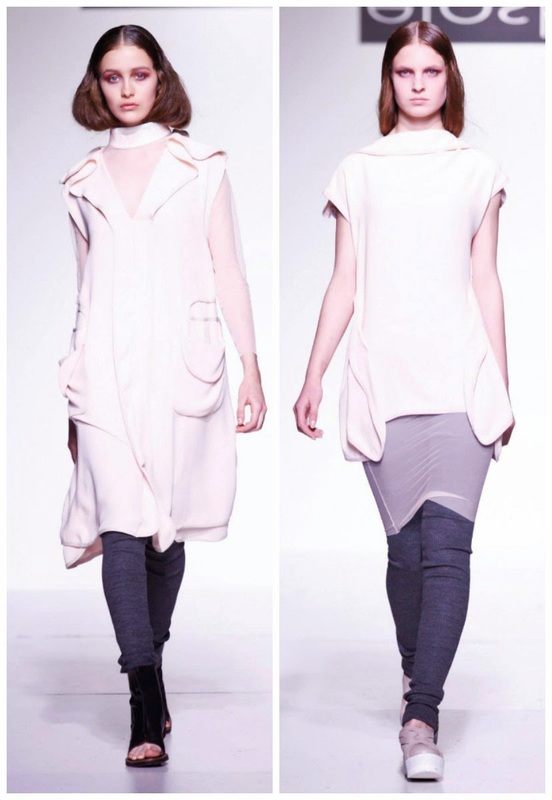 Materiel is a separate brand that was created in 2012 by Fashion House Materia, whose main aim is to represent works of different Georgian designers. 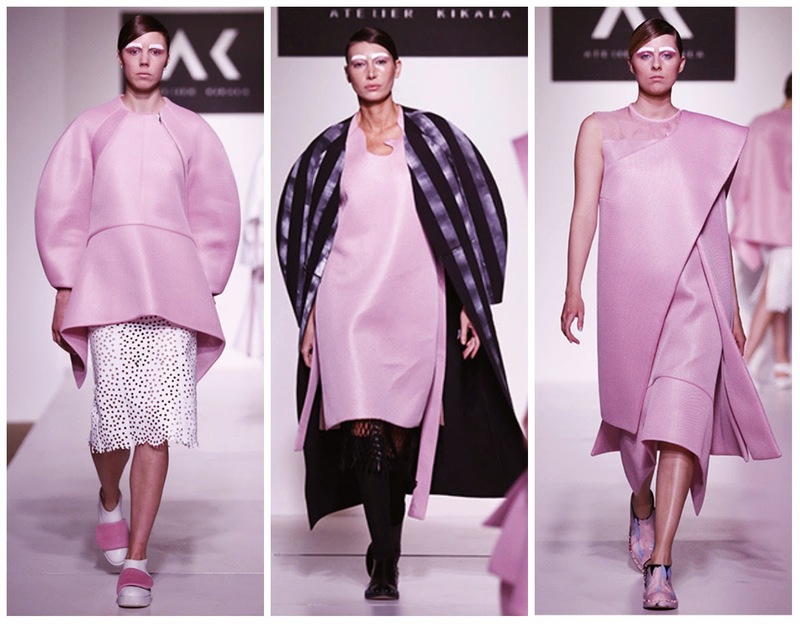 This year, Materiel's winner of Tbilisi Fashion Week Newcomers, Alexander Akhalkatsishvili had the privilege to showcase his AW 14/15 collection. 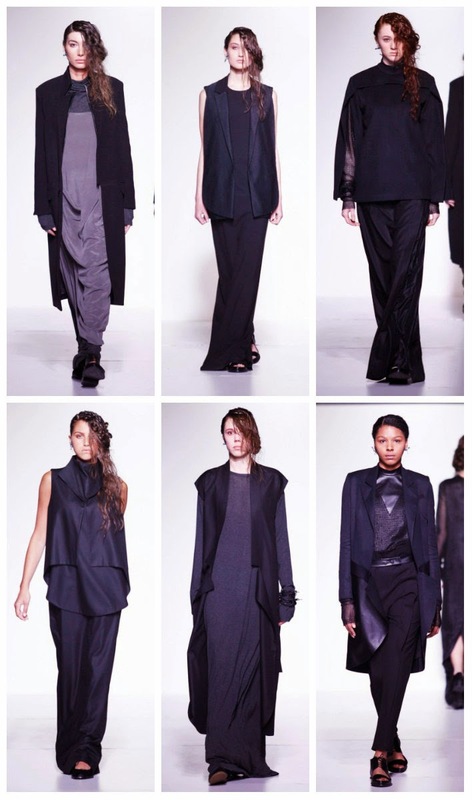 His collection featured pieces in dark colors and presented long and sharp silhouettes. 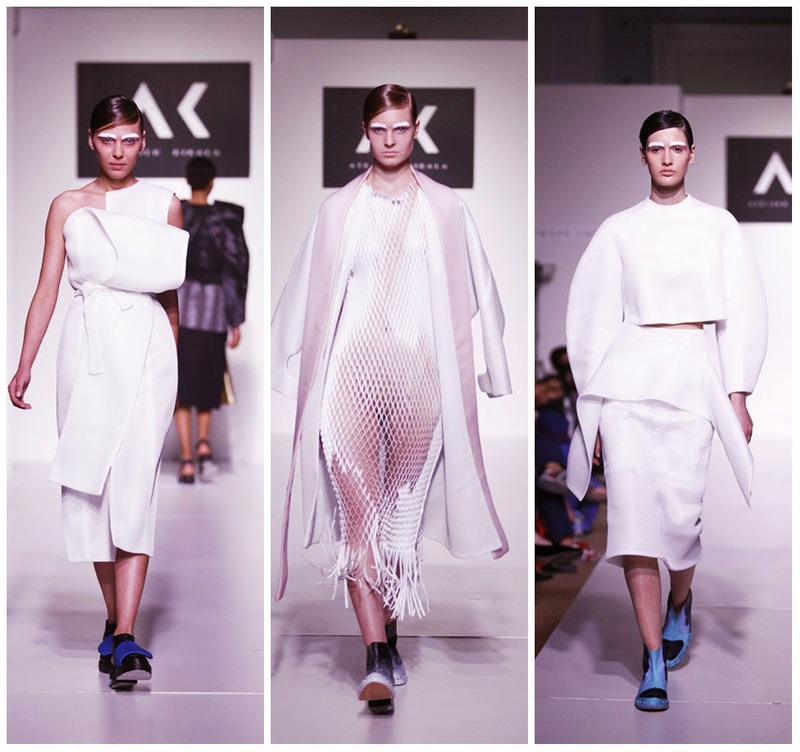 Alexsandre was able to explore the use of different kinds of fabrics per piece to showcase how they can come together but also how they can change the structure of the pieces. 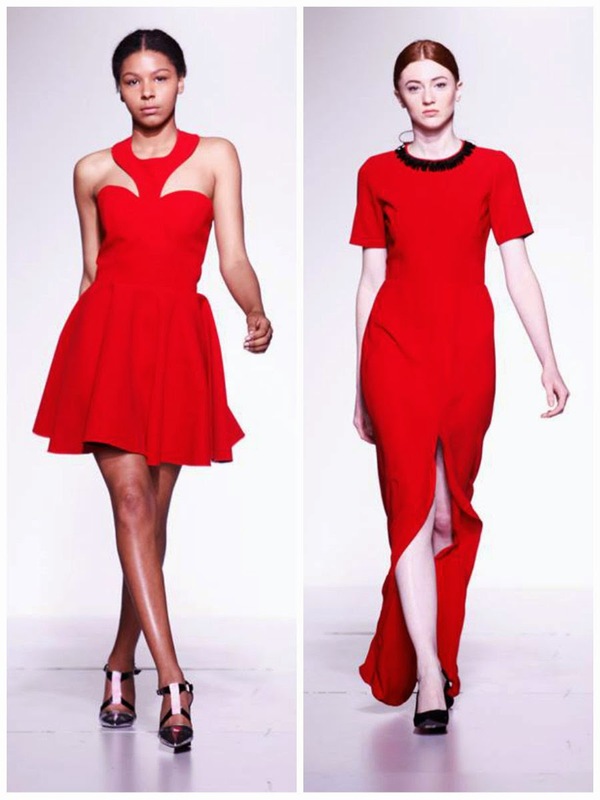 Visit the website and facebook page for Materia Fashion House. 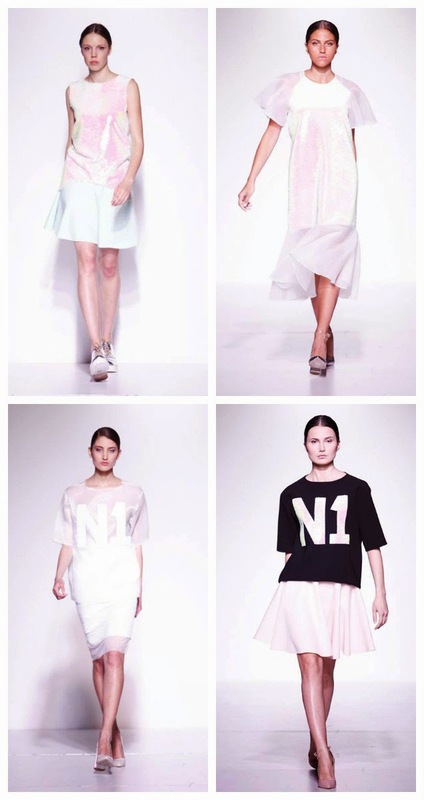 Mach & Mach is a relatively new Georgian brand headed by sisters Gvanca and Nina Macharashvili, who are young upcoming designers. 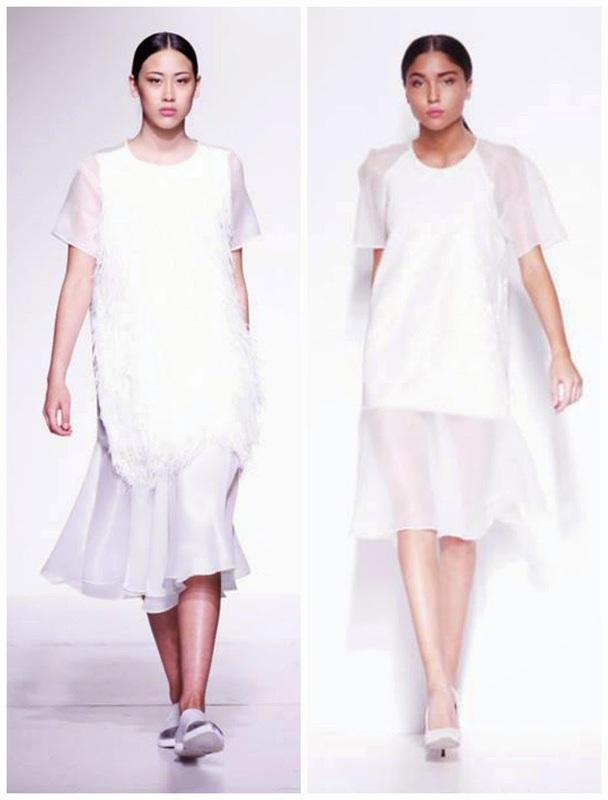 The Mach & Mach AW 14/15 collection incorporates "arguing organza", we see this characterisation on the skirts and sleeves of some pieces that partnered with contrasting fabrics. 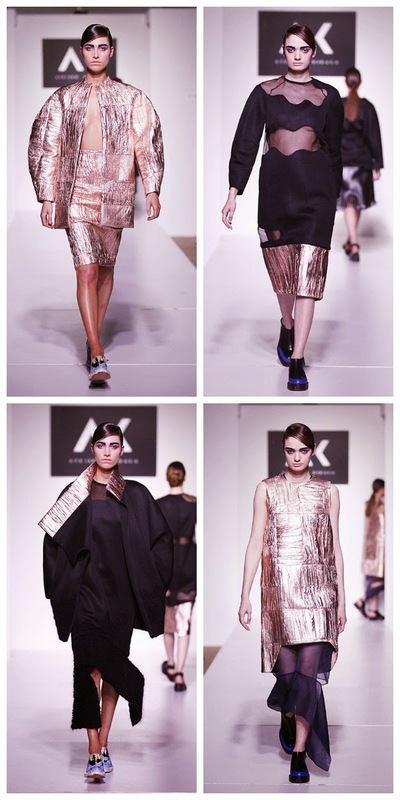 The surfaces of other pieces were covered with sequins that reflected a fun and playful mood in the collection. 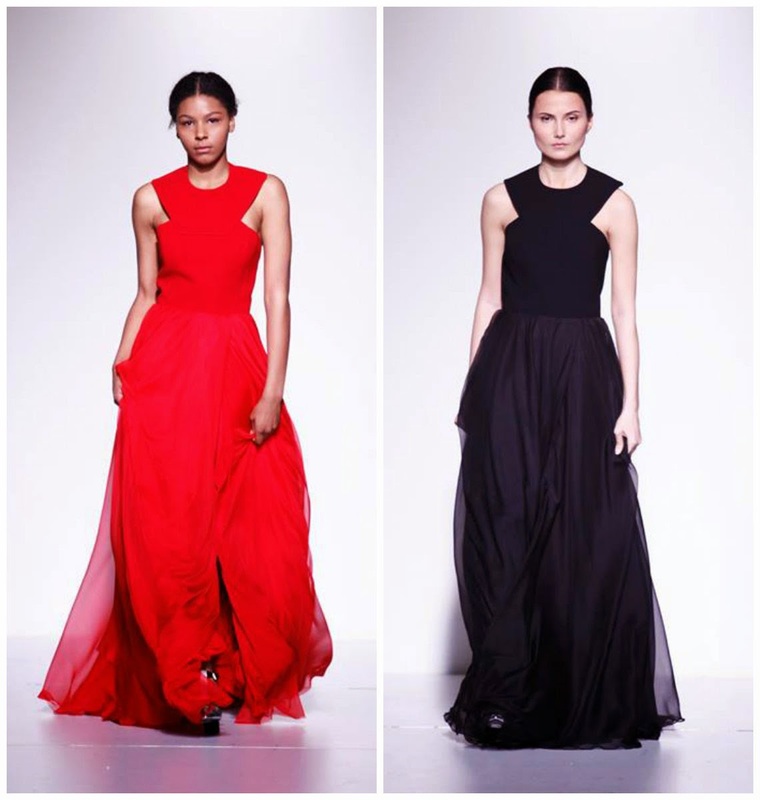 The collection has mini, midi, and maxi styles that used flare and body hugging silhouettes. The high slits placed in the middle definitely added to the sexiness of the pieces. The various designs and styles of the pieces were brought together by the youthful vision of the Macharashvilis. To see more of their work, visit their facebook page.